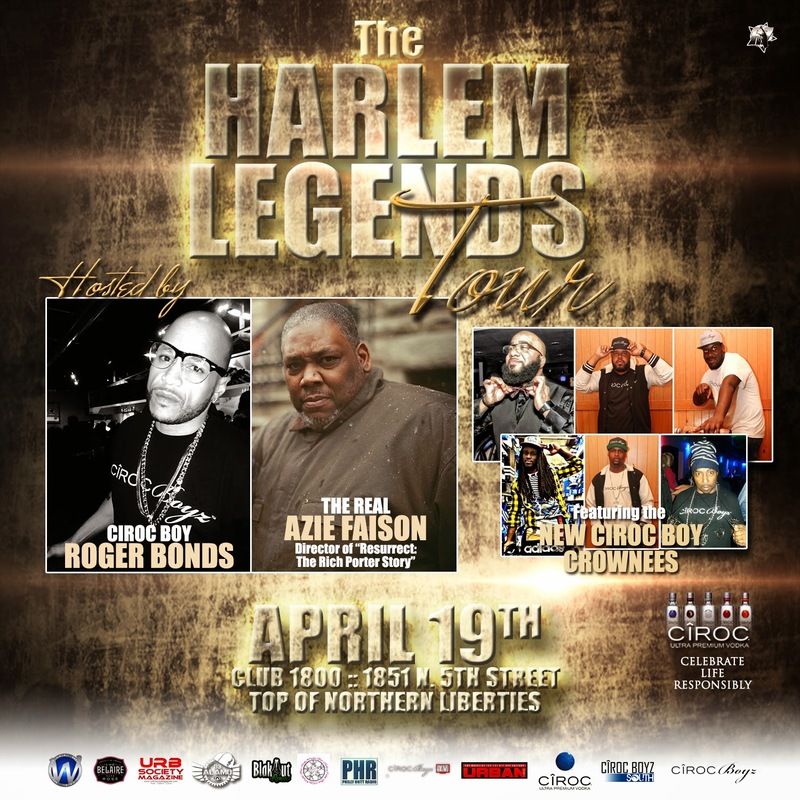 April 19th 2014 CirocBoyz Philly will be hosting The Harlem Legends Tour starring Ciroc Ambassador CirocBoyRogerBonds and the real Azie "AZ" Faison at Philadelphia's own Club 1800 (5th and Berks St) In celebration of Faison's new documentary "Resurrect" about the life of Harlem Legend Rich Porter. They are bringing two of Harlem's finest under one roof. 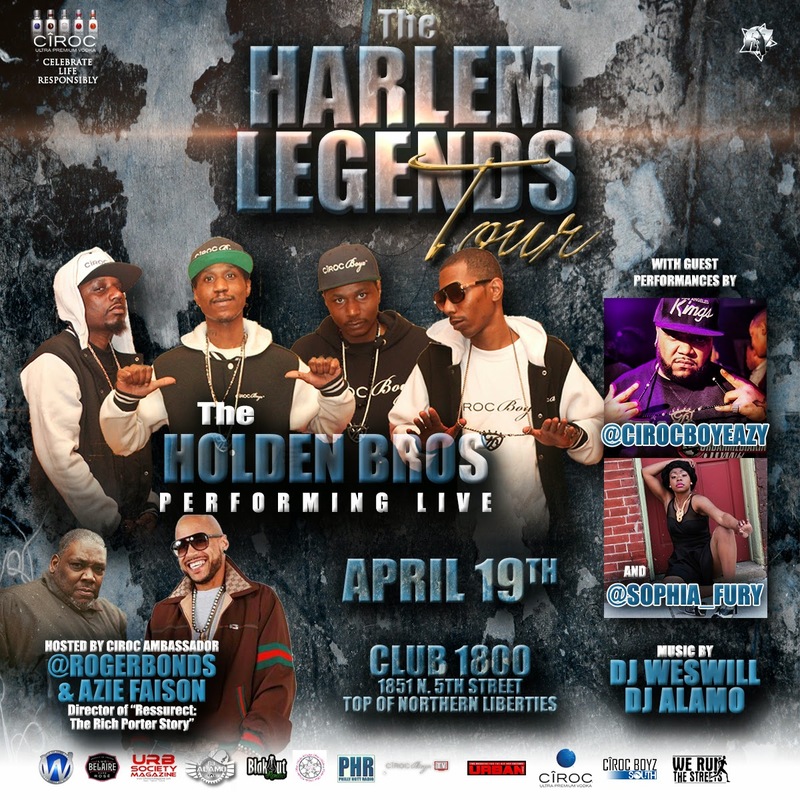 The event will aslo feature the official induction and crowning of new CirocBoyz, and special performances by The Holden Bro's, CirocBoy Eazy and Sophia Fury.